On Feb. 10, 1991, Edvard Tchivzhel, the associate director of the U.S.S.R. State Symphony, announced that he had defected from the country and, with his wife and son, was taking refuge with a Simpsonville family. The Tchivzhels arrived in Greenville to begin a concert tour the previous month. With the assistance of Lena Jankowsky, a Russian speaker whom he met when they arrived, he was able to contact Greenville attorney Larry Estridge. He worked out the details of the defection based on the Latvian conductor’s need for political asylum and fear of prosecution while the Soviet Symphony was on tour. After the Immigration Service granted his request in March, he returned to Greenville, where he looked for positions while learning English and settling in to his new country. After a year he accepted a position with the Fort Wayne Philharmonic and became principal guest conductor of the Aukland Symphony in New Zealand. In 1995, he accepted the position of conductor of Greenville’s Heritage Chamber Orchestra while his wife, Lyouba, was a violinist for the Greenville Symphony. 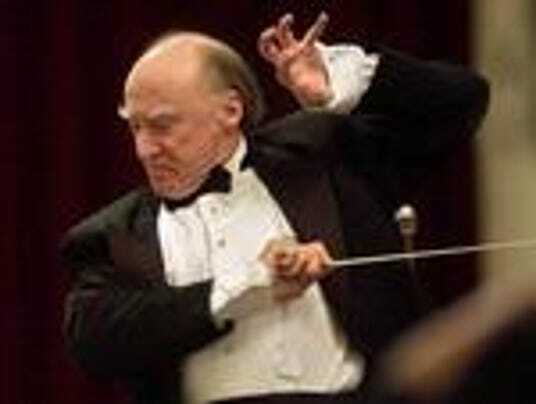 In December 1998, Greenville Symphony officials announced that he had been selected as their next conductor, a position he has held ever since. Editor’s note: For more than 140 years, The Greenville News has told the story of our community and the people who live here. Each day this year we are publishing a brief piece of our history – Greenville’s story.